Politicians have been clambering to the top extolling something that has yet to exist. Scientists are claiming a job boom that has yet to transpire. Much fantasy and speculation dominate the creation of Australia’s Space Agency, an organisation that remains inchoate despite being launched on Monday by the appropriately named Michaelia Cash. 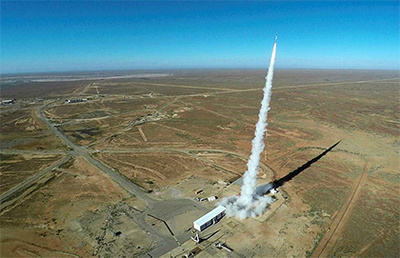 The report from the Expert Reference Group behind Australia’s Space Industry capability is every bit as enthusiastic as Cash, seeing space as having very terrestrial effects (“a key contributor to the growth and diversification of the Australian economy”). “No longer restricted to government agencies and budgets, space has become a fast-growing and fiercely competitive commercial sector”. This is a field of estimates and projections, of wistful glances at budgets, investments and outlays. Clark provides an elastic forecast: “We think we can add another 10 to 20 thousand jobs to 2030.” The Australian federal government put the value of the Australian space sector in 2015-2016 at $3.94 billion. Of that, a dominant 80 percent of contributions came from the private sector. Australia remains a curiosity in one fundamental respect: a country continent so ideally placed for observation yet indifferent historically to having its own agency, ever in the bosom of NASA and an annex of broader power goals. Subordination to other space programs has tended to be normal, most notably the role played during the Apollo 11 moon walk by such radio telescopes as “The Dish” at Parkes. The head-over-heels delight that Australia is getting its own space agency has not masked that old problem with organisations of national prestige. Nothing is ever too big to be diminished by the pettiness of political dispute. Disputes and disagreements have arisen. Parochialism tails the scientist’s endeavour, and bureaucracy risks insinuating itself into the experiment and initiative. Clark has pitched for the national capital, Canberra, a point that has been seen as eminently sensible. “We need to engage internationally and also to co-ordinate nationally and part of that activity (is) best to be centred on Canberra.” Well noted, though the Australian capital has shown a certain tendency to outsource its public service jobs to other regions, a point that might risk a resource deficiency. Despite the question of sustenance and sustainability, the picture now may well be different, though hardly in the broader name of science per se. The Australian Strategic Policy Institute has defence on its mind in Australia establishing “a sovereign space industry” to make the country “an active space power”. The ASA also promises to be a mercantilist organisation for the skies more than the radical, insatiable discoverer of the galactic frontier. This is no time for scientific curiosity for its sake. Pocket books and bank balances rather than petri dishes are the order of the day.